A genuine earth from Afghanistan the purest and oldest form of the Lapis Lazuli pigment. 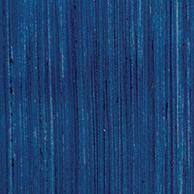 Lapis was the inspiration for the modern synthetic ultramarine blue whose colour is a deeper less dirty blue than lapis; the handling qualities are identical. This is the blue that the Old Masters used for centuries. This pigment is still very expensive and rare. Lapis Lazuli and Azurite are a family of natural earth pigments and were the source of the famous blues of the Middle Ages. There are plenty of books that deal with this subject superbly but I feel its appropriate that I say a few things about it.